RORY NOLAN has earned a reputation as one of our finest theatre actors, but he is about to show another side of himself - that of playwright, at this year's Galway International Arts Festival. 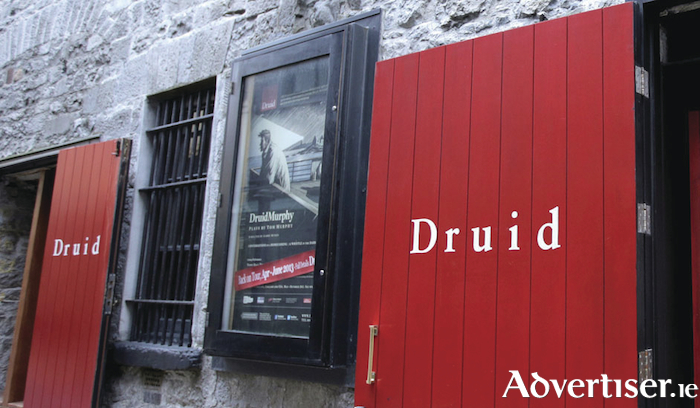 Nolan's play, You Belong To Me, along with Babysitter by the much admired Galway playwright and screenwriter Christian O'Reilly, will be this year's Druid Debuts. The debuts will see staged readings of both works in The Mick Lally Theatre. You Belong To Me, a dark comedy about the rules we make, the lives we break, and the dancing in between, written by Druid Ensemble member Rory Nolan and directed by Garry Hynes, will be read Friday July 20 at 12 noon. Babysitter, a comedy about resentment, entitlement, and middle class sexual politics, by Christian O'Reilly (Sanctuary, The Good Father, Here We Are Again Still ), and directed by Druid Ensemble member Marty Rea, is on Friday July 27 at 12 noon. Page generated in 0.0672 seconds.